If your daily commute involves a strap-hanging stint aboard a crowded tube; an overpriced nose-to-armpit ordeal at the mercy of an unreliable train operator; or a crawling, gas-guzzling traffic jam snaking slowly through the soul-destroying suburbs: spare a (jealous) thought for the good folk of North Yorkshire, who get to ride double-decker buses through one of Britain’s most beautiful areas – as you can, when you holiday at Bell End Farm. 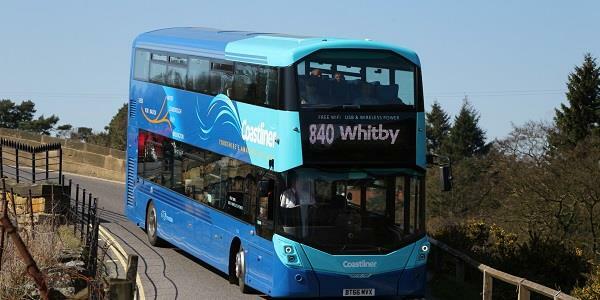 The 840 Coastliner service runs from Leeds to Whitby, providing a vital link for commuters, shoppers, and anyone else simply wanting to get from A to B. The Leeds-to-York bit? 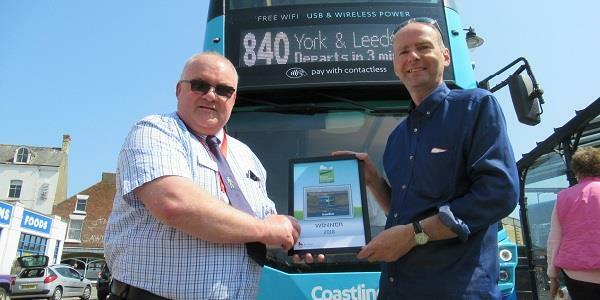 Nothing special; but the journey from York to atmospheric and historic coastal town Whitby has recently been named the ‘most scenic’ bus route in Britain. In addition to traversing the stunning North York Moors National Park, the bus stops at some of the area’s best – and best-known – attractions, including the Eden Camp Museum and the village of Goathland, of Heartbeat and Harry Potter fame. The poll of nearly 16,000 bus users was conducted by passenger body Bus Users UK, prompted by a suggestion from bus enthusiast Paul Kirby from Wetherby (though the fact that Mr Kirby himself lives in North Yorkshire had no bearing on the result). Over 100 bus journeys all over the UK were shortlisted. The 840 runs four times every weekday. The closest stop to Bell End Farm is at Pickering (featured in a previous blog, which you can read by clicking here), to the south of Rosedale Abbey, where Bell End Farm is located. Details of the 840 and other Yorkbus/Transdev services can be found by clicking here.